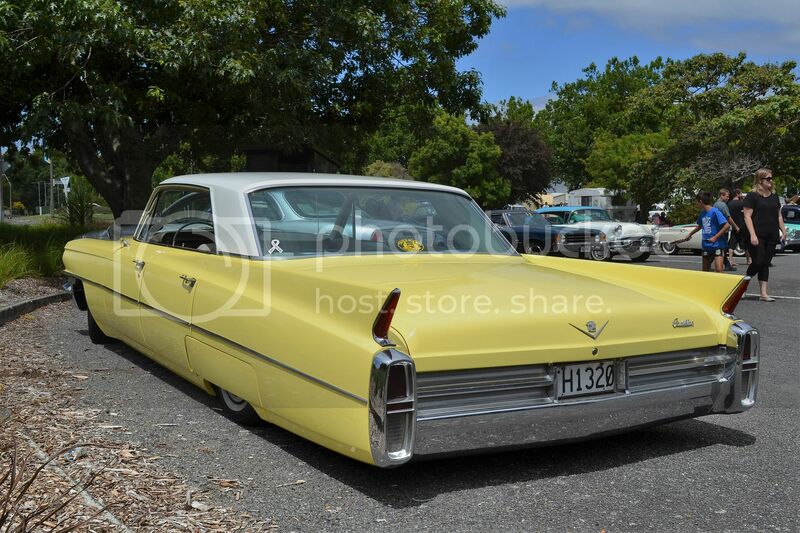 Wheels With Attitude, in Dannevirke today, was so good that I'm going to have to devote several blogs to it. 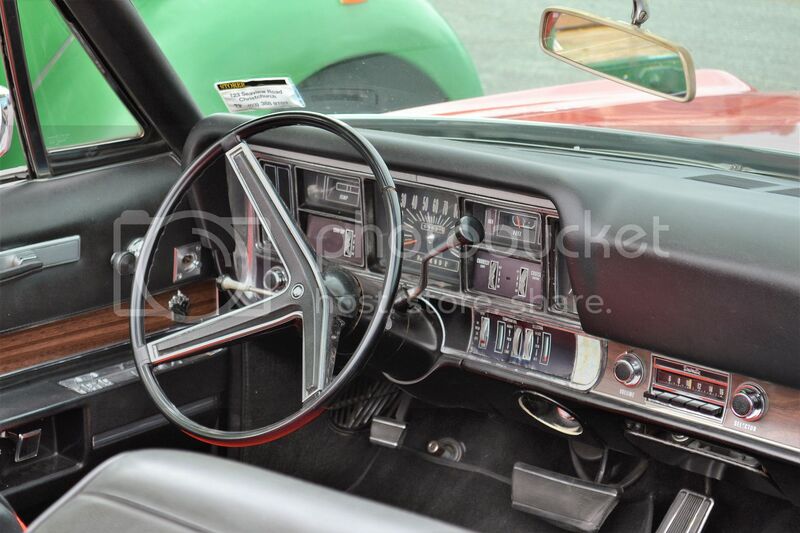 '66 Plymouth Fury sedan in stock trim was one of many Americans there. 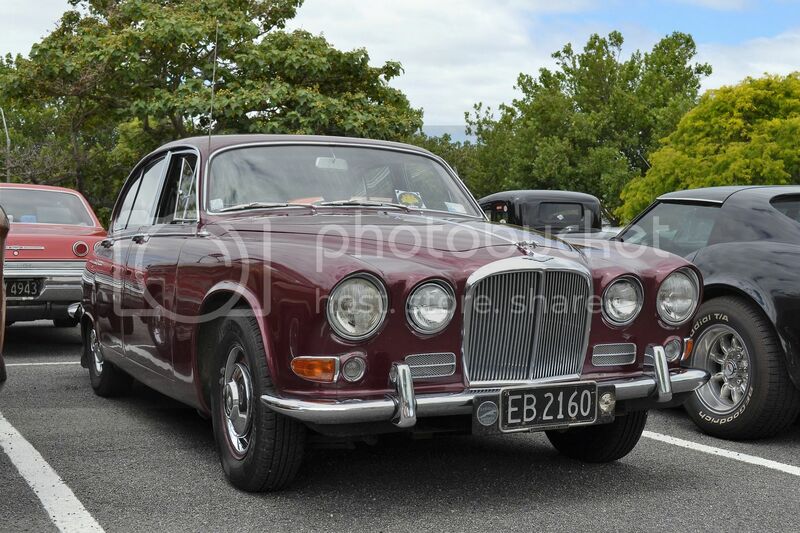 Jaguar Mk2 was apparently V8 powered, but I never found out what type. 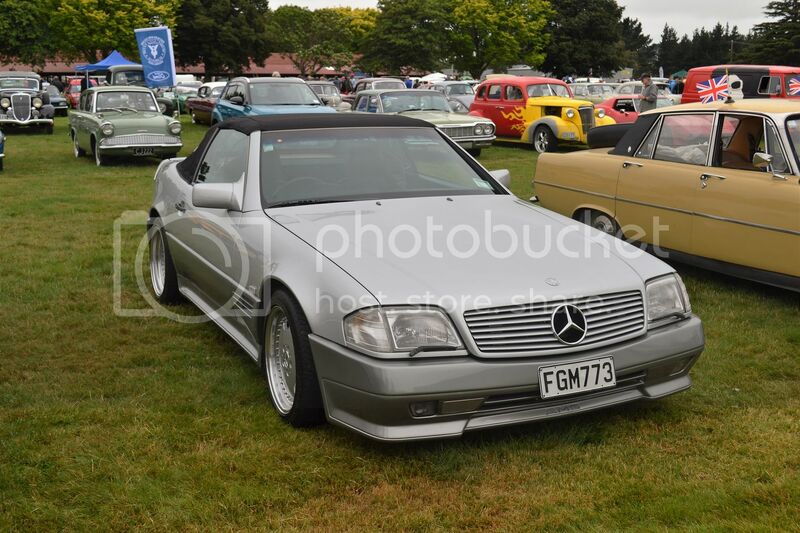 Mercedes-Benz 500SL was quite revolutionary when released and is still a very nice car. 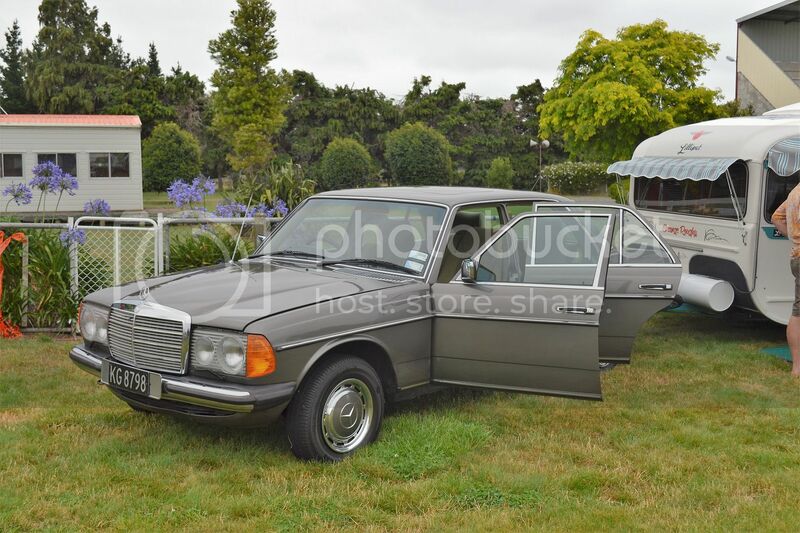 Very tidy Mercedes sedan is diesel powered. 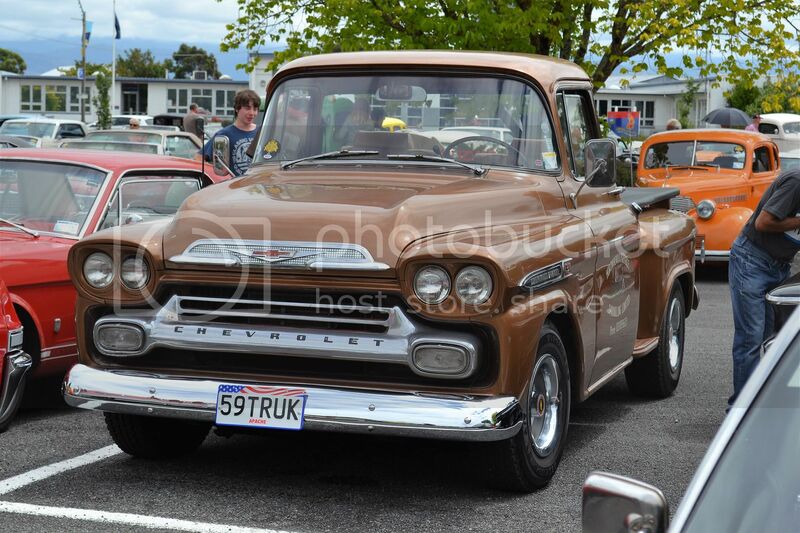 There was something for everybody. 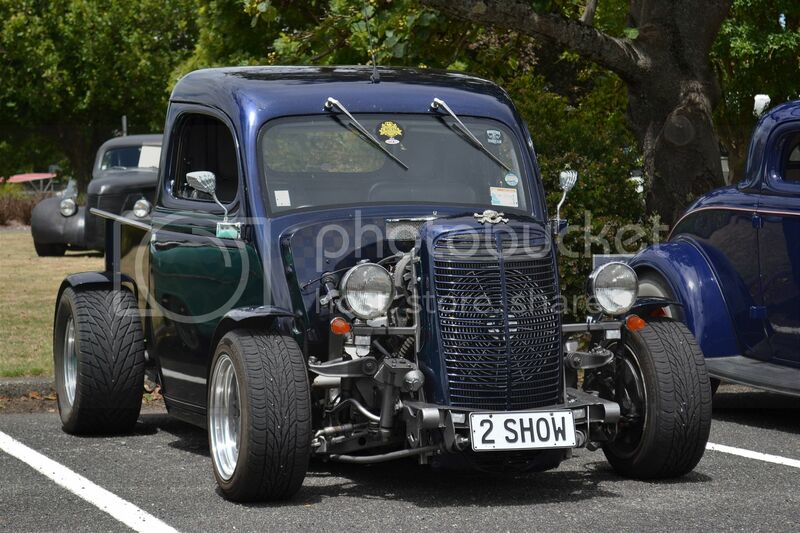 Ultra big and ultra small. 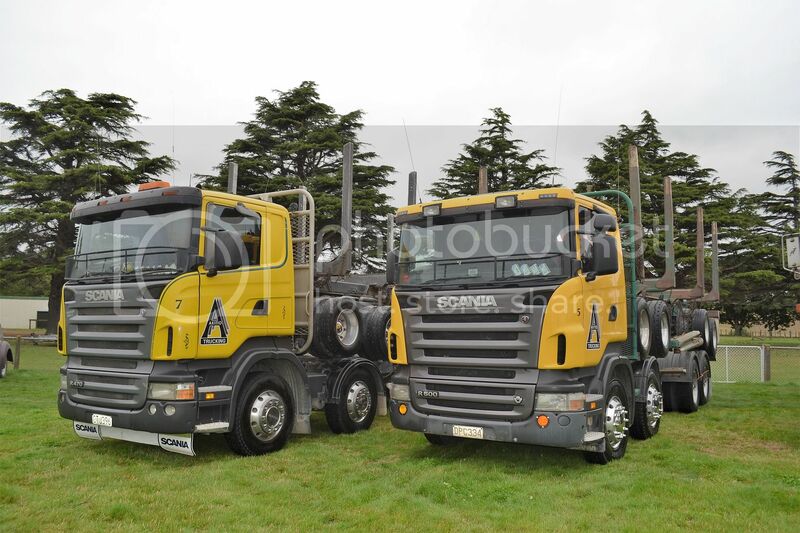 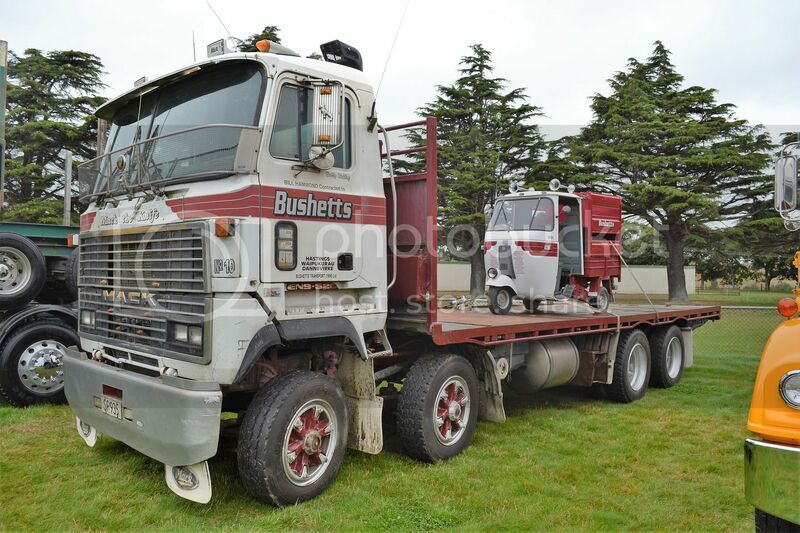 A pair of clean logging Scanias. 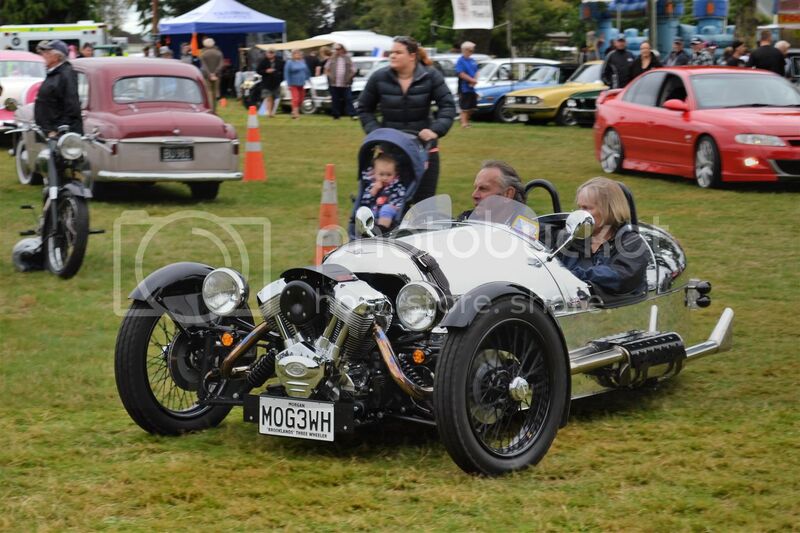 Morgan 3 wheeler had very modern features. 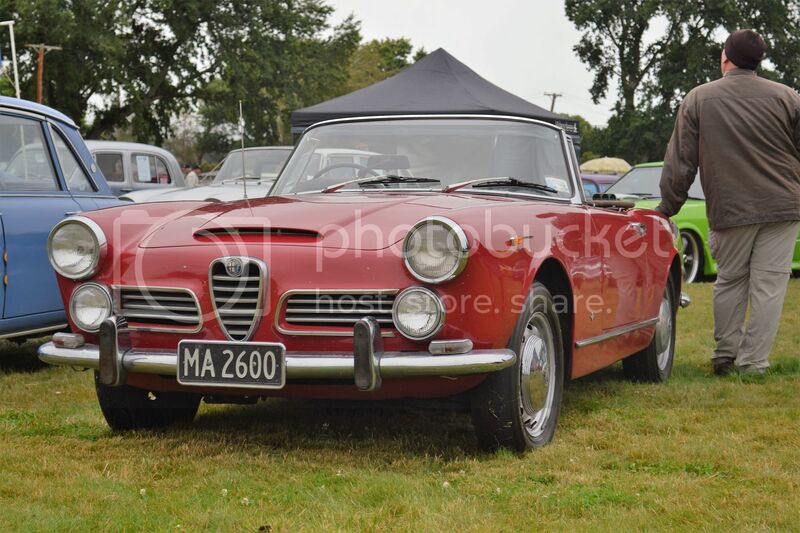 Alfa Romeo 2600 spider has a 2.6 litre twin cam straight six. 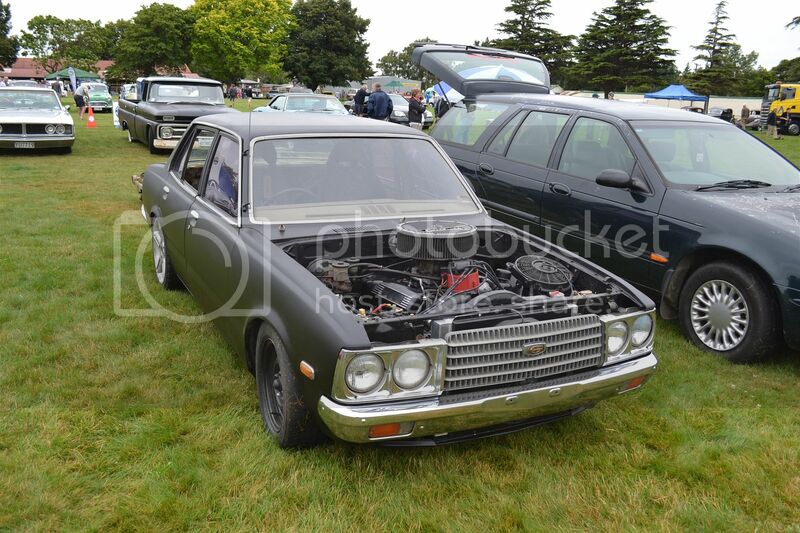 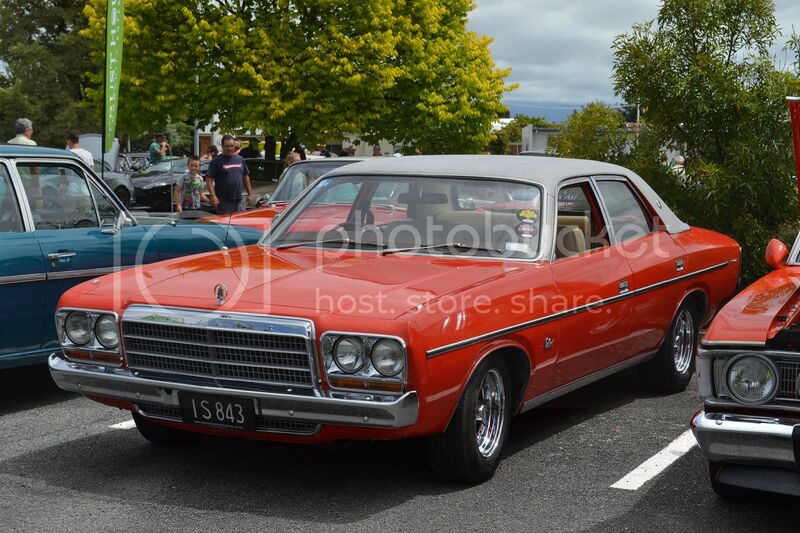 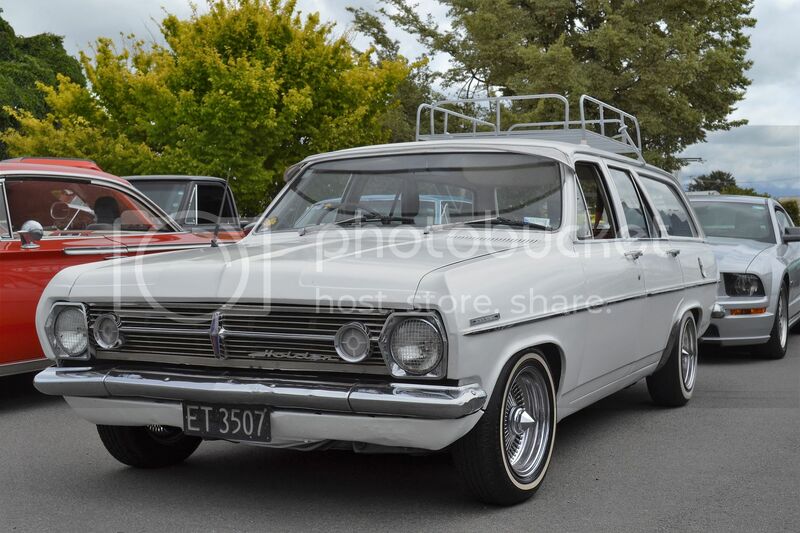 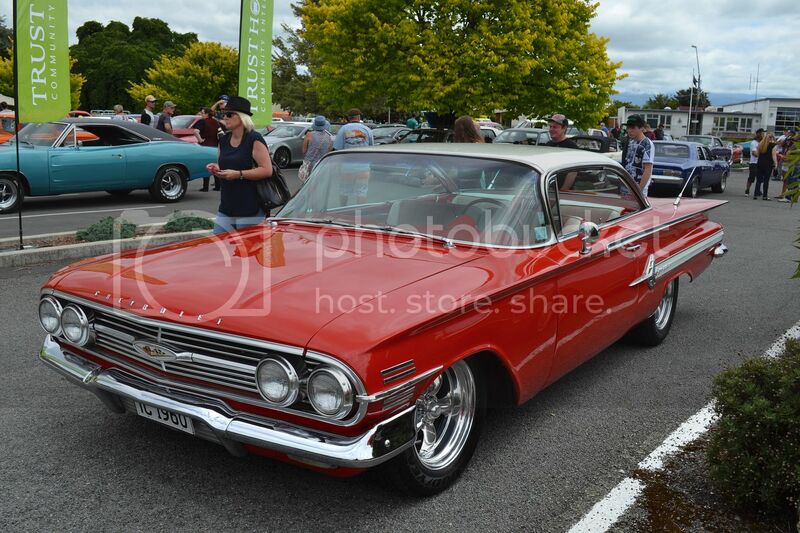 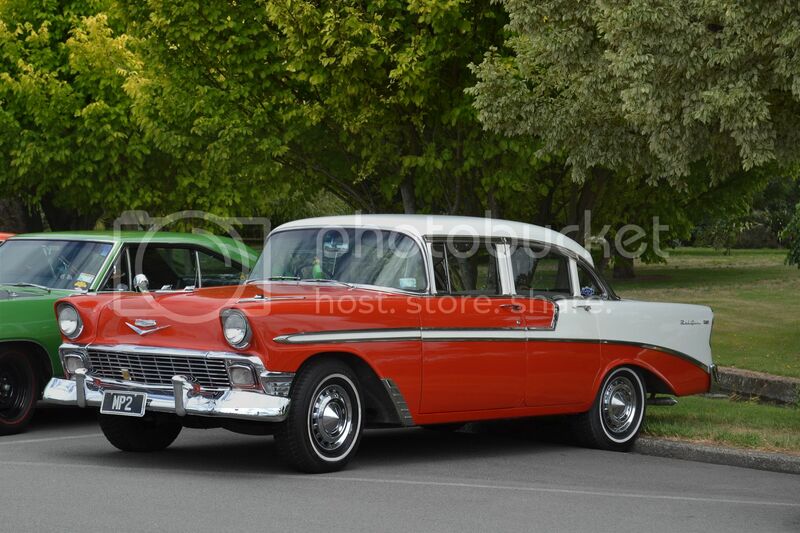 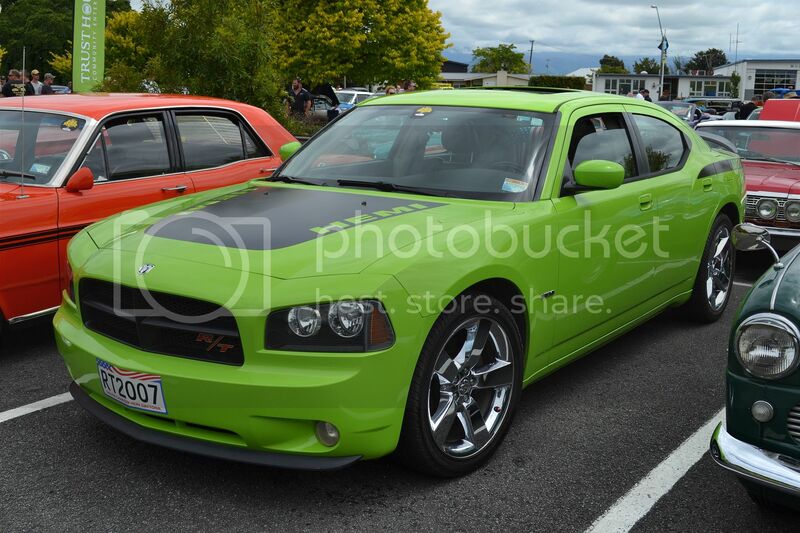 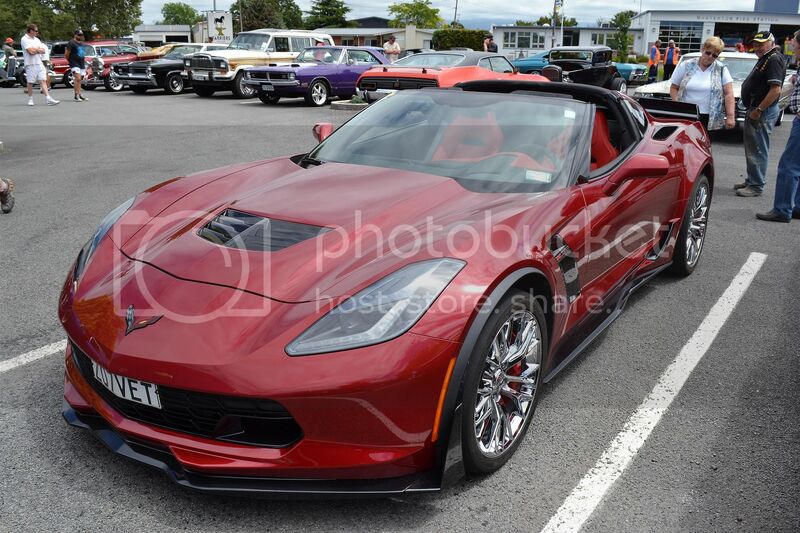 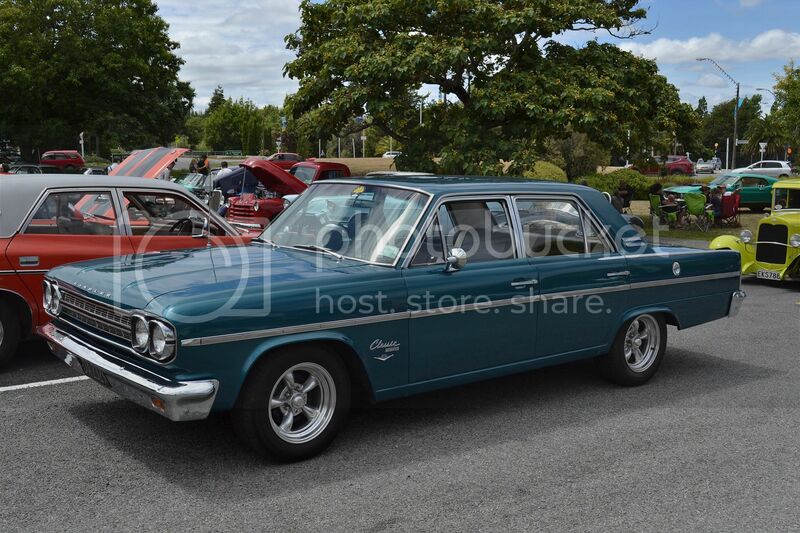 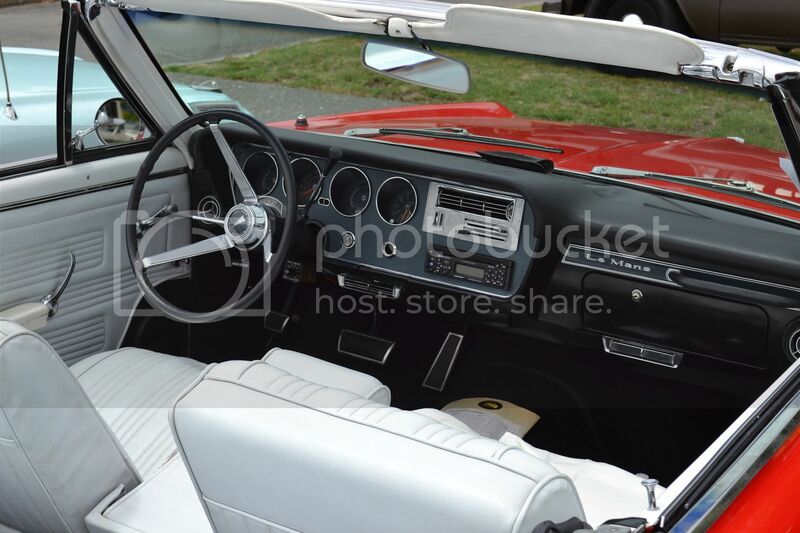 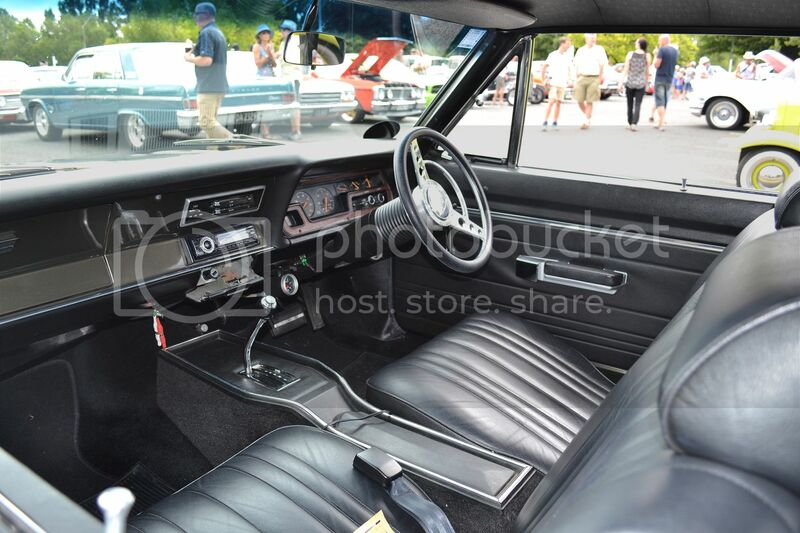 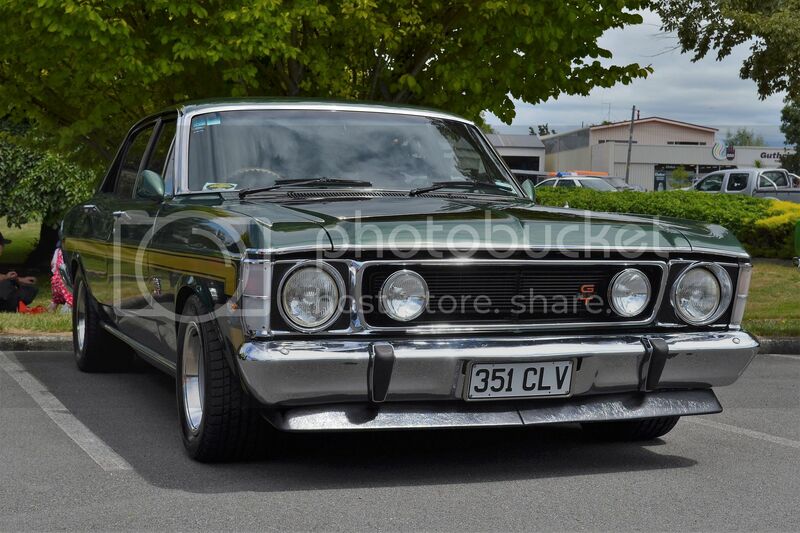 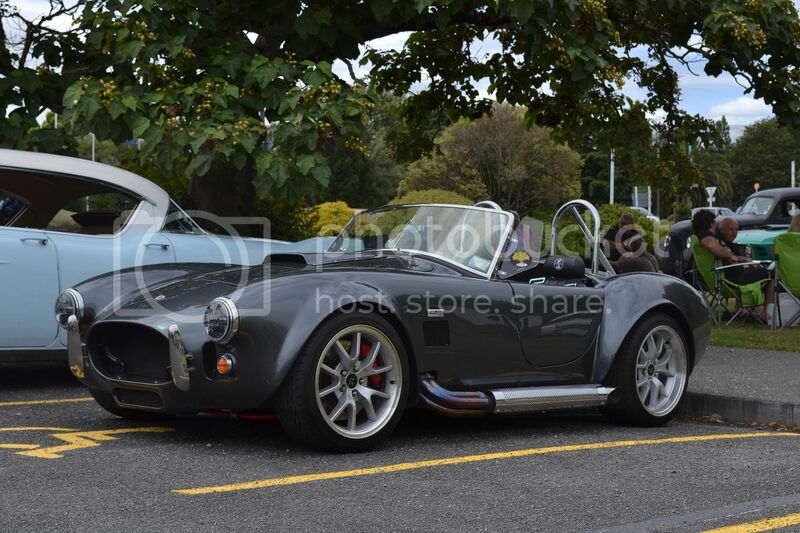 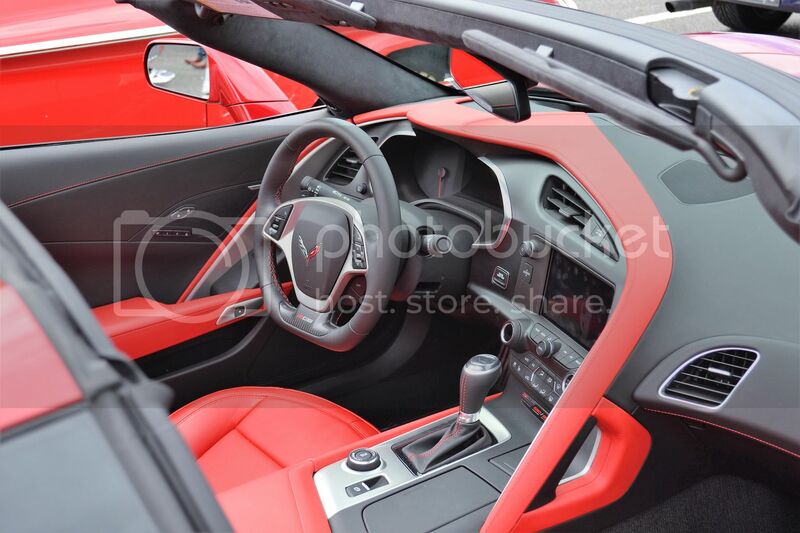 A few dashboard shots of the Cruise Martinborough cars. 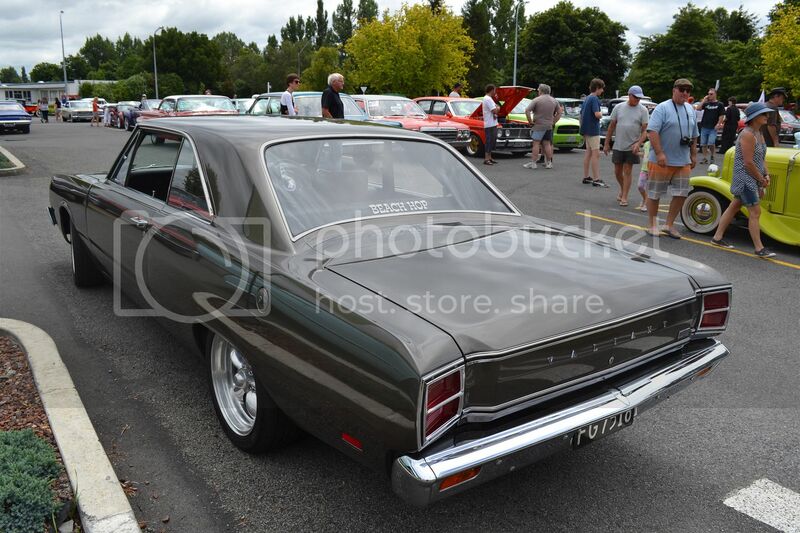 1970 Chrysler Valiant VG Hardtop. 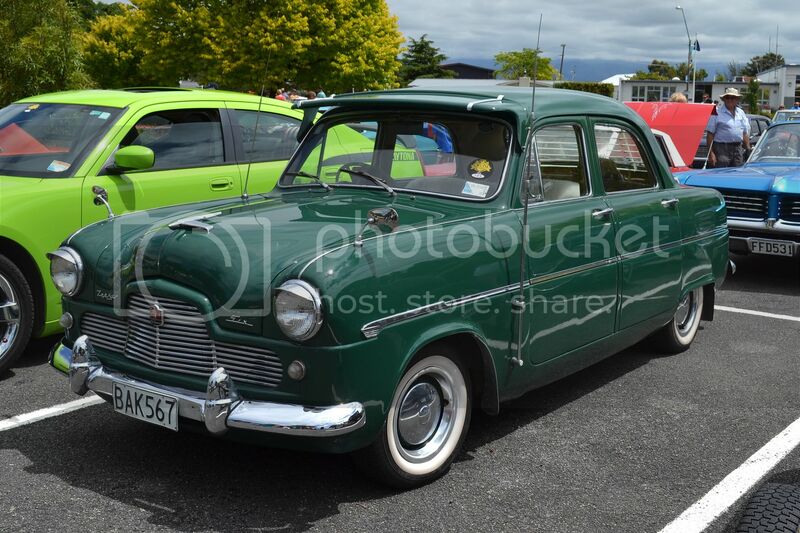 Mk 1 Zephyr has a lot of period extras. 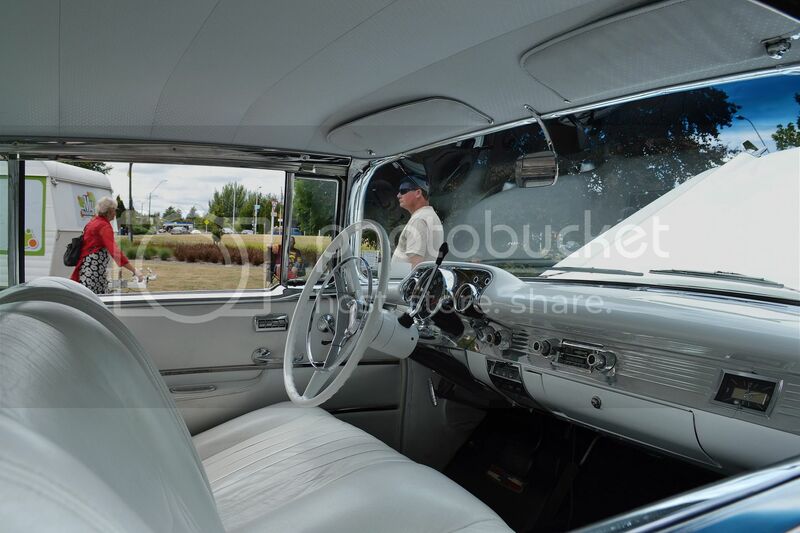 Whitewalls, sunvisor, venetians and dual aerials. 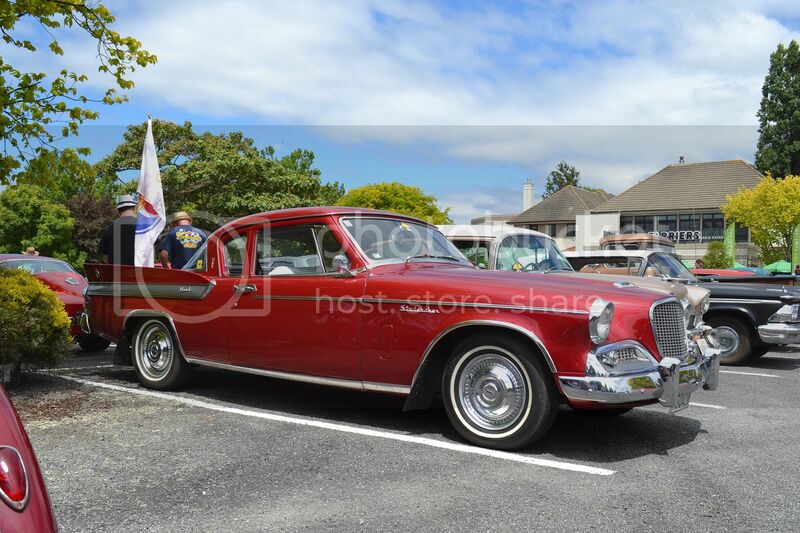 I love these Studebaker hardtops. 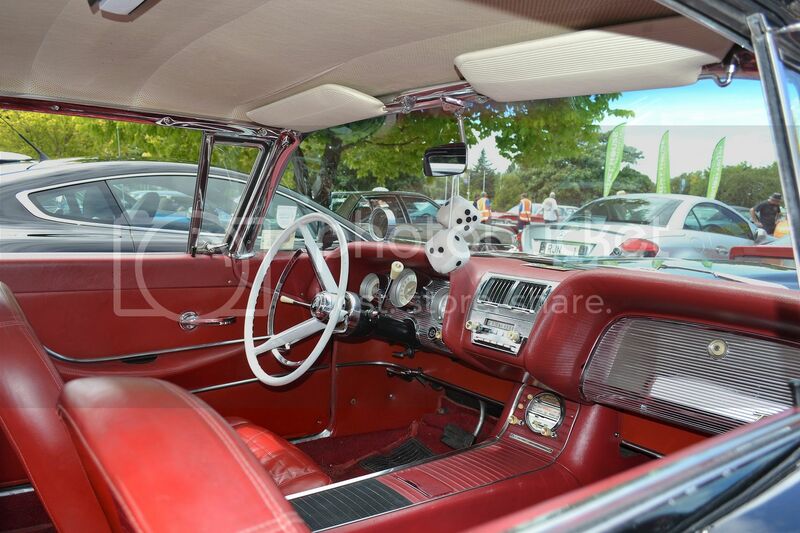 This one is a 1960 Silver Hawk. 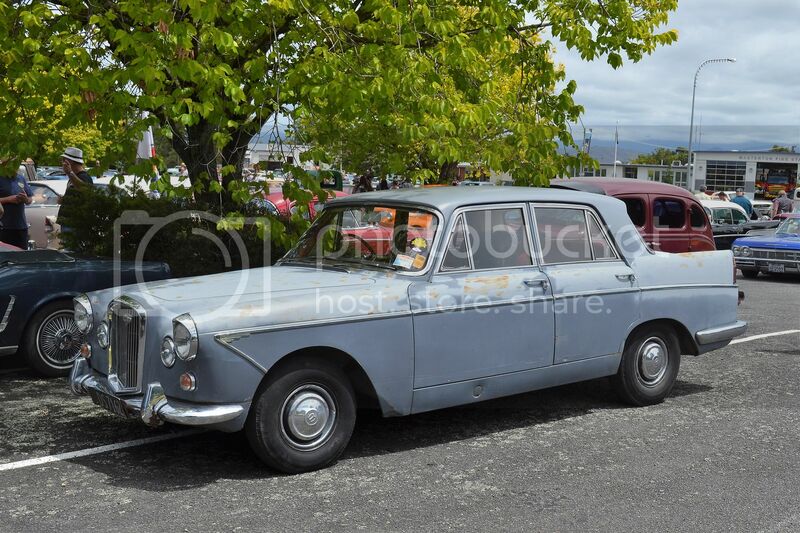 Roadworthy and complete, must be a good start to a restoration. 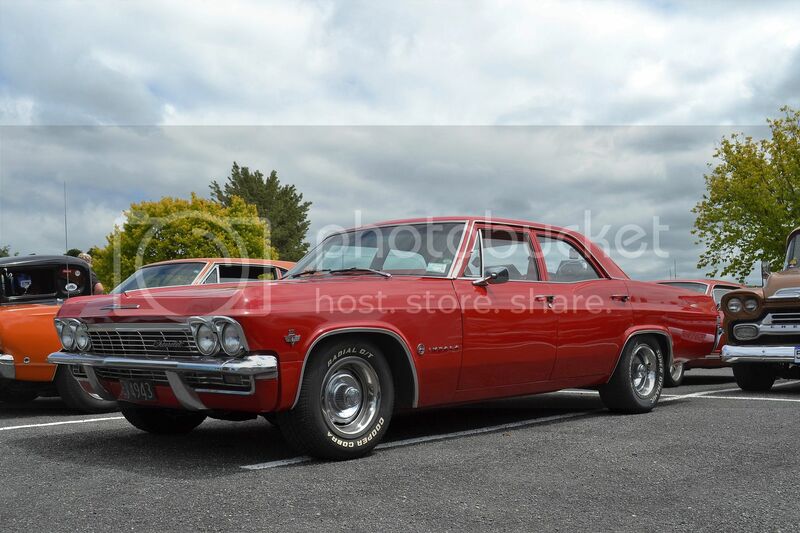 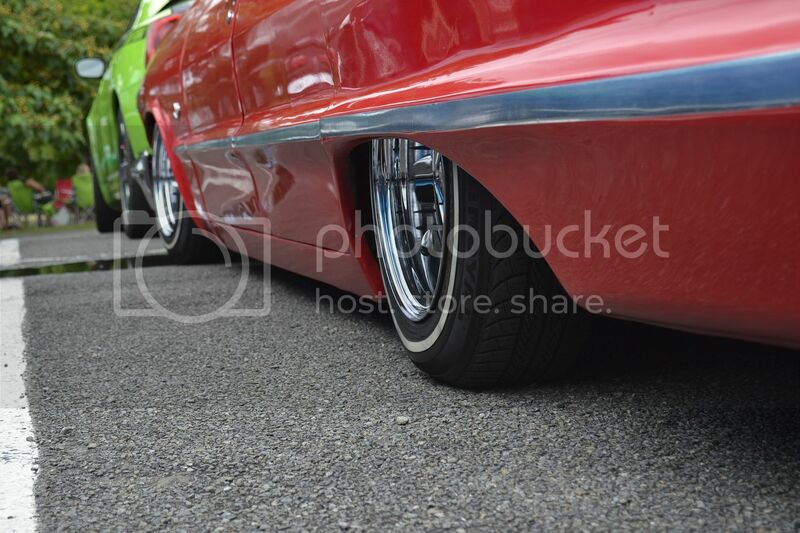 '65 Chev Impala 4 door, looks good with steel rims. 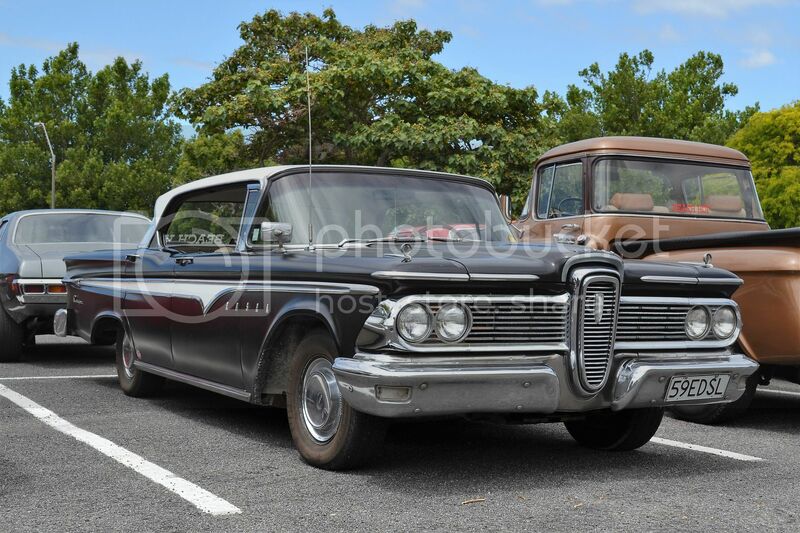 '59 Edsel Ranger from Ford was a poor seller, but a rare car now. 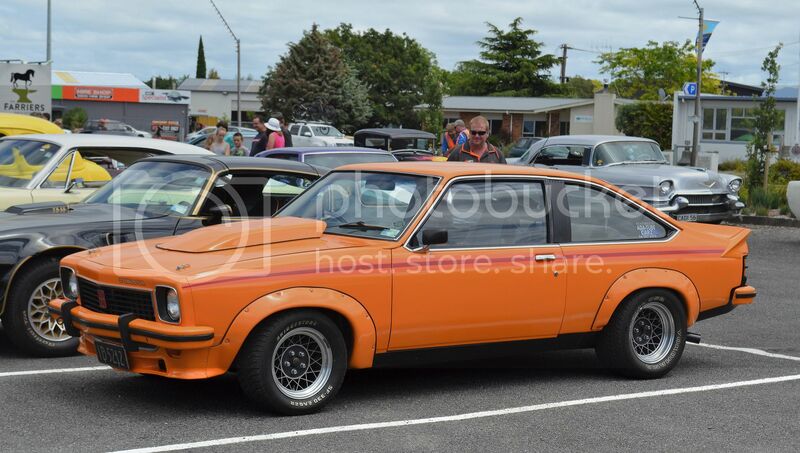 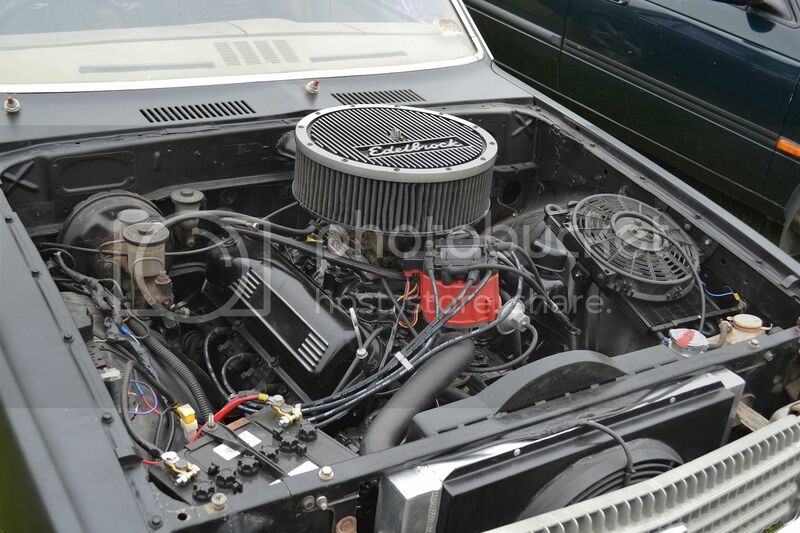 1976 Holden Torana SS is a very collectable car. 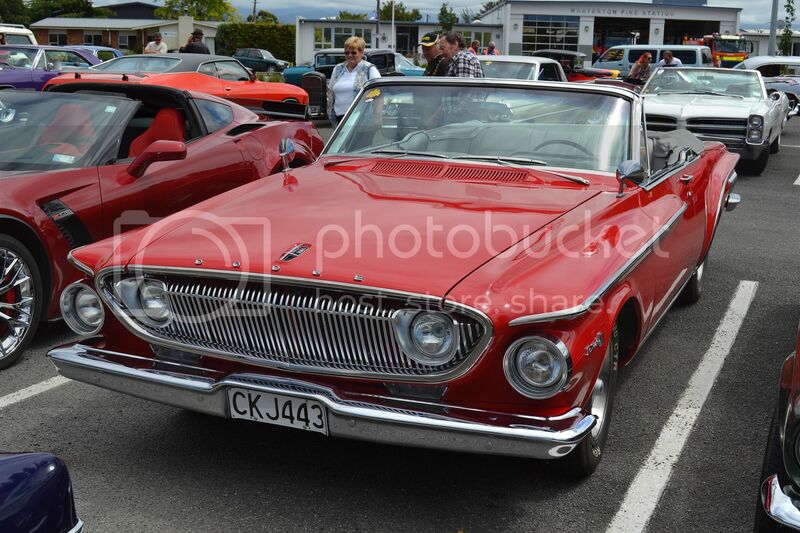 '62 Dodge Dart convertible has a face only its mother could love. 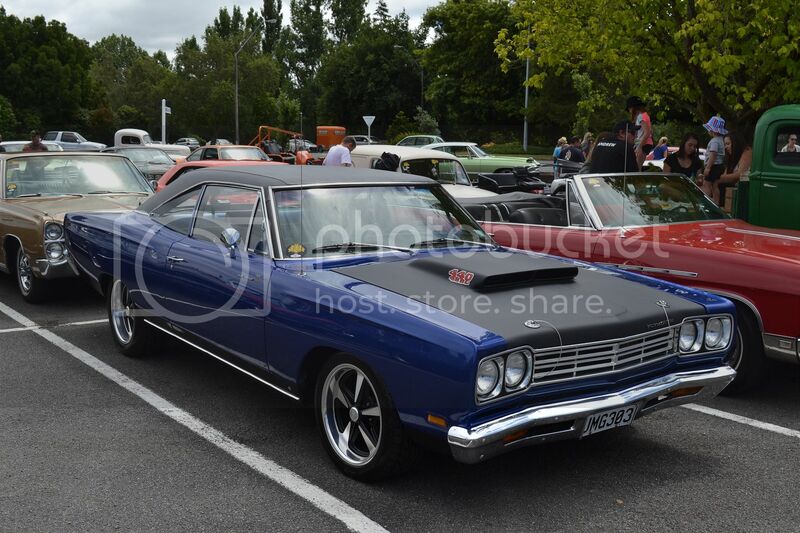 '69 Plymouth Road Runner is as very cool car. 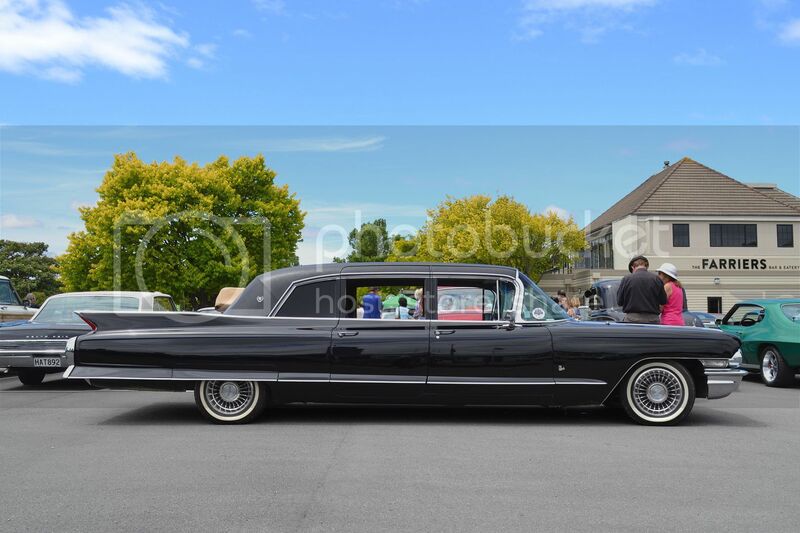 Big Cadillac doesn't look like the car for doing a quick U turn. 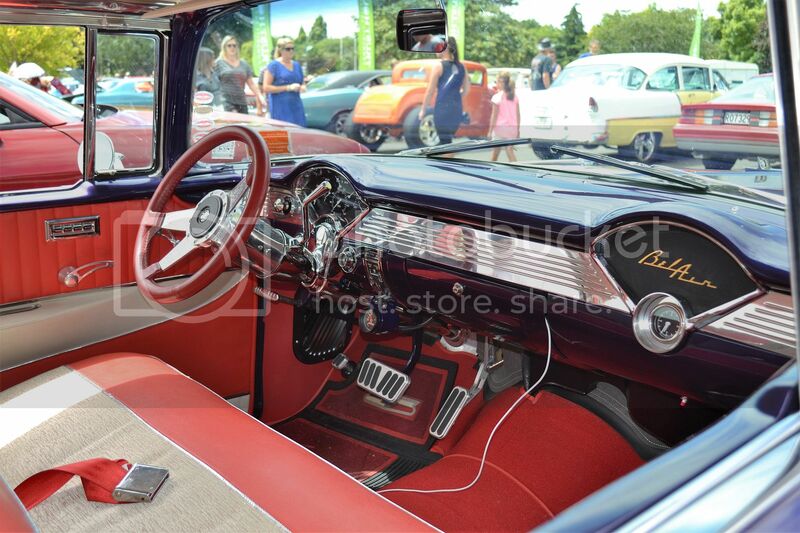 '56 Bel-Air Sports Coupe has a number of extras, as well as rare fuel injection. 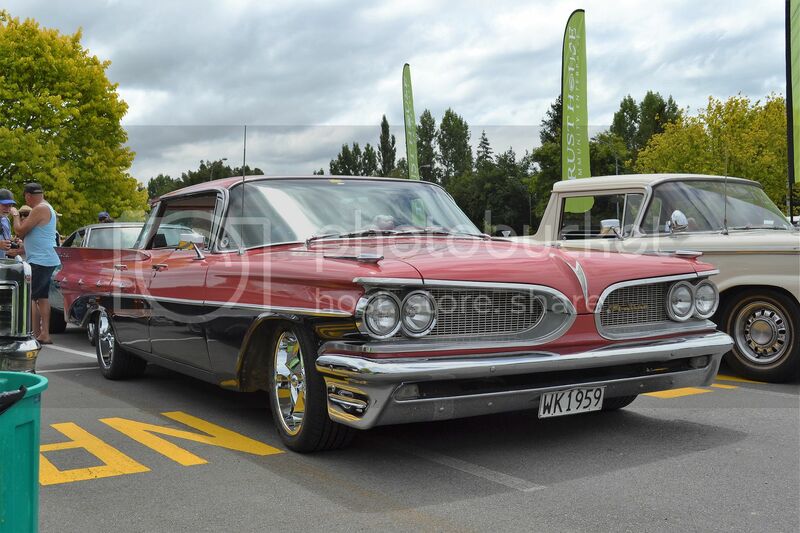 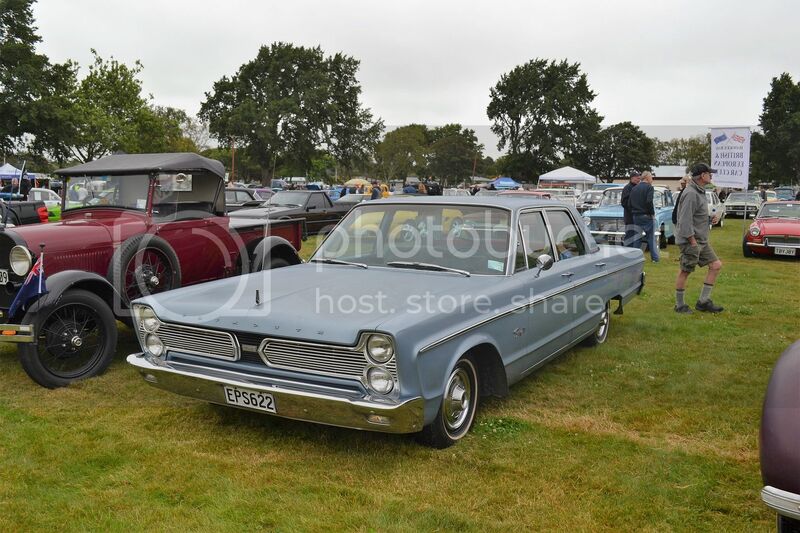 Yesterday Cruise Martinborough had a party and live band in the Farriers car park in Masterton and of course, a display of the entered cars. 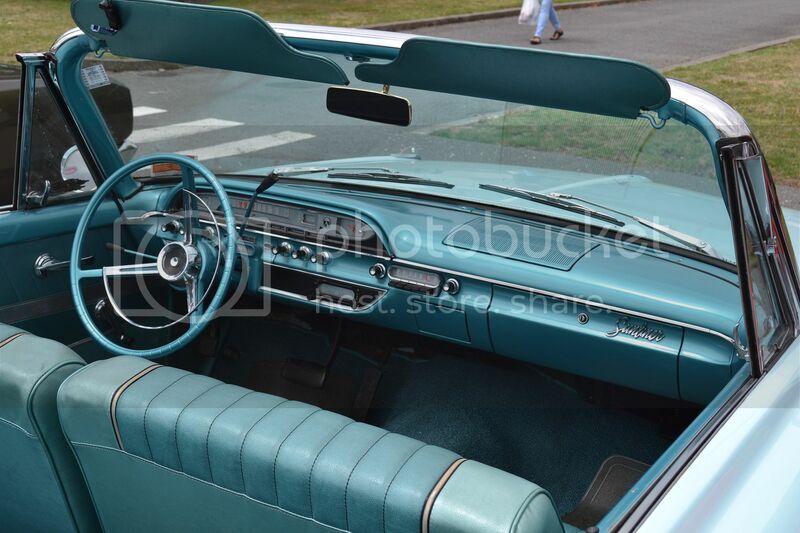 1959 Pontiac Star Chief shows how ugly...can be beautiful. 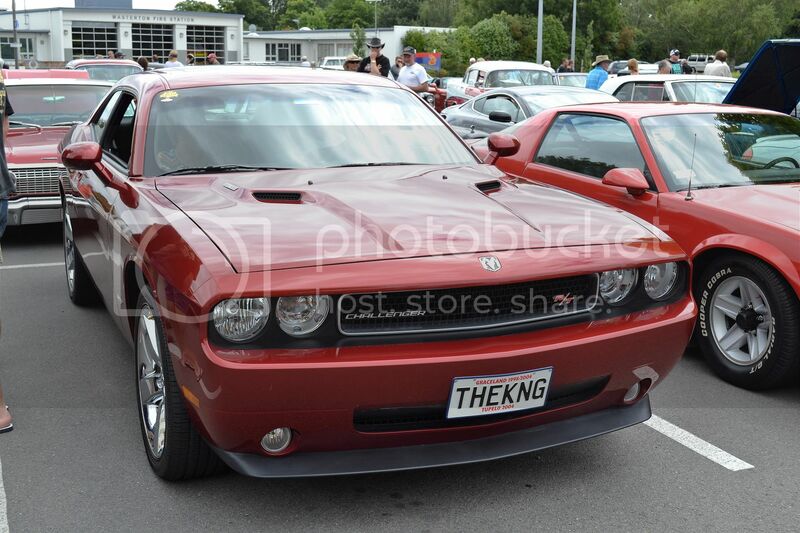 This rego plate previously adorned a Chrysler 300C, but now has moved to a 2010 Dodge Challenger. 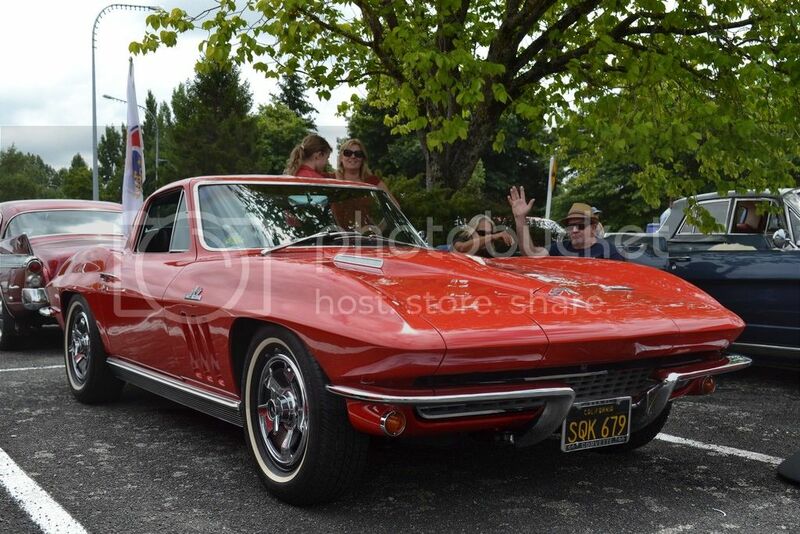 Mid 60s Corvette with its happy waving owner, but wife about to stifle his enthusiasm. 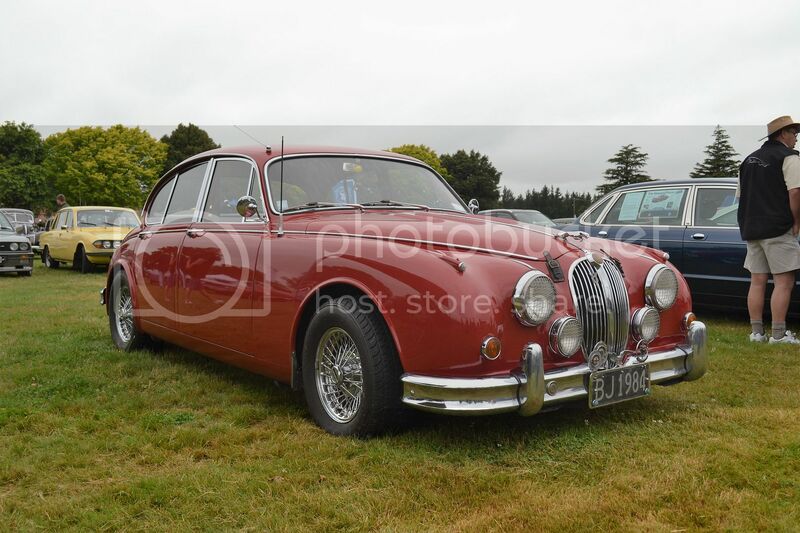 Jaguars nicest saloon. 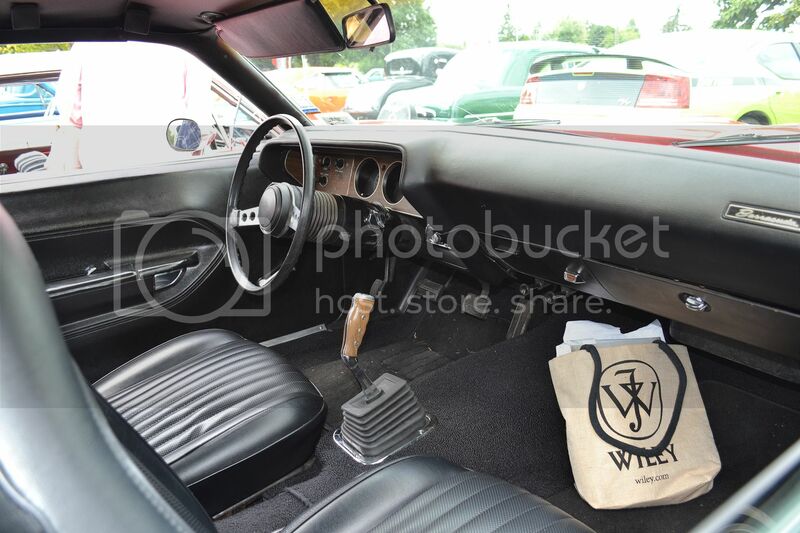 So much neater than the bulging Mk 10. 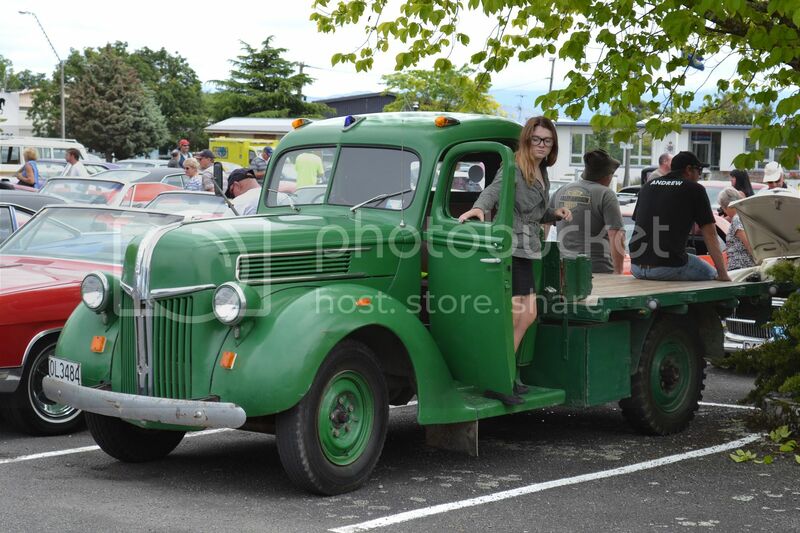 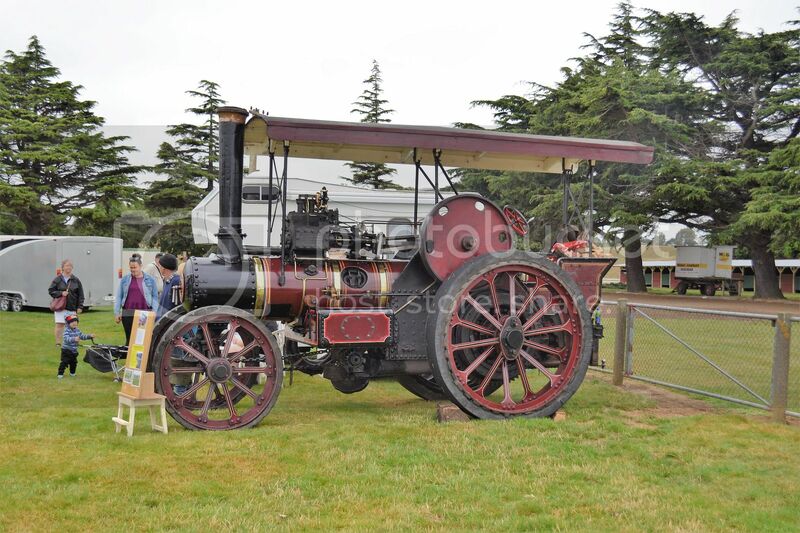 Fordson pickup was much modified. 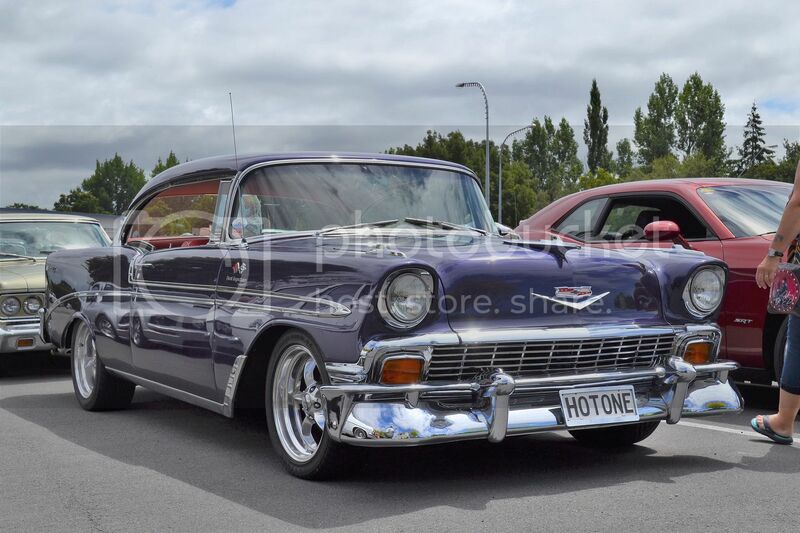 Holden HR looks standard, apart from the rims. 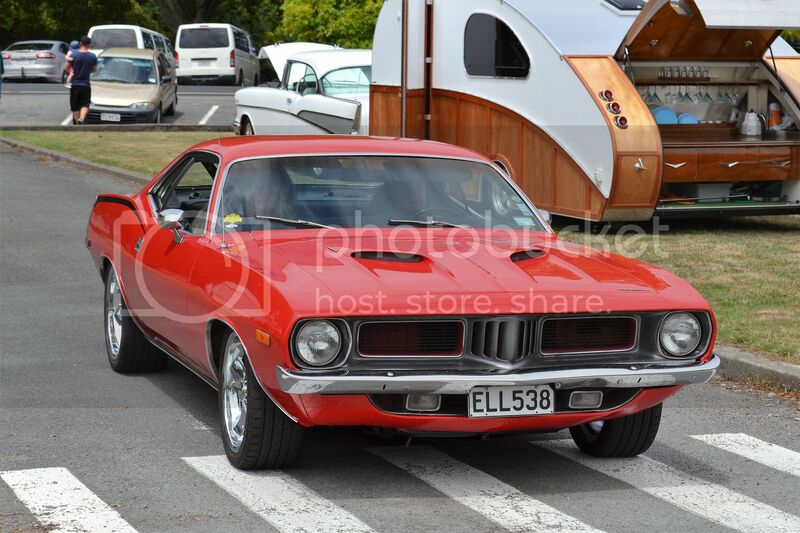 1970 Ford Falcon looks like it means business with that square jawed face.